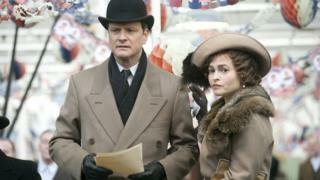 A cotton mill museum that appeared in the Oscar-winning film The King's Speech will be closed to the public from Friday due to council budget cuts. Queen Street Mill Museum in Burnley is among five museums owned by Lancashire County Council that will shut although they will open for school visits. Along with Helmshore Mills Museum, which will also close, the Burnley museum is the last working example of Lancashire cotton spinning and weaving. The council plans to save £65m by 2018. Councillor Marcus Johnstone, cabinet member for environment, planning and cultural services, said: "Closing museums is the last thing we want to do but the scale of the county council's financial challenge means we have to take these difficult decisions in order to safeguard services for the most vulnerable people in our communities." Other museums that will close include the Museum of Lancashire in Preston, Fleetwood's Maritime Museum and Judges' Lodgings in Lancaster. Lancashire County Council originally intended to close the five museums in the spring but this was postponed to allow talks with groups interested in running them. A council spokesman said the discussions were still continuing. More than 10,000 people signed a petition to save the museums at Queen Street and Helmshore Mills, saying they were "an absolute cornerstone of Lancashire's rich industrial heritage" when the county played a key part in Britain's Industrial Revolution.